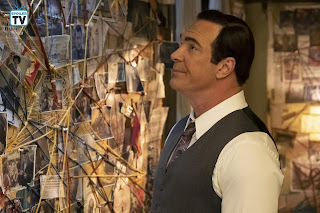 A Series of Unfortunate Events - Season 3 - Advance Preview: "Look Away! It's The End"
Alas - it is upon us, the final season of Netflix's A Series of Unfortunate Events! Look away, for you do not want to watch this miserable end of the Baudelaire story. Hehe. Actually, you do, of course, because this has been one of the most entertaining series of recent years. 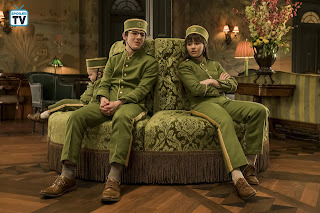 If you're like me, you love that this Netflix show has been a faithful adaptation of Lemony Snicket's popular book series of the same name, and this third and final season is no different. Adapting the final four books in the series - The Slippery Slope, The Grim Grotto, The Penultimate Peril, and The End - season three continues the Baudelaire story in the way we expect from the writers, in the same dire, charming, and ultimately compelling way the first two seasons did. "Please, this isn't some over-exaggerated melodrama." The first two episodes - The Slippery Slope - resolves that literal cliffhanger from the season two finale straight away. We are introduced to some new characters, as well as some fan favourites from season two, setting off a great tone for this season. We see the strains of friendship and some surprising returns and reveals all in the very first couple of episodes. I have to hand it to Hooky, he proves he's a very worthy character, not just in this episode but it continues in the next episodes too. Some exciting things to look forward to in the first two episodes are the new characters, finding out the survivor of the fire, reaching V.F.D. headquarters, a mountain climbing expedition, important discoveries, and a mountaintop standoff that ends badly. All in all, a very strong start to the season. "It's not fire, it's fashion." The next two episodes - The Grim Grotto - continues the adventures in very unique settings. Another thing I love about this series in general is that we have so many different locations, and the Grim Grotto has some great sets. 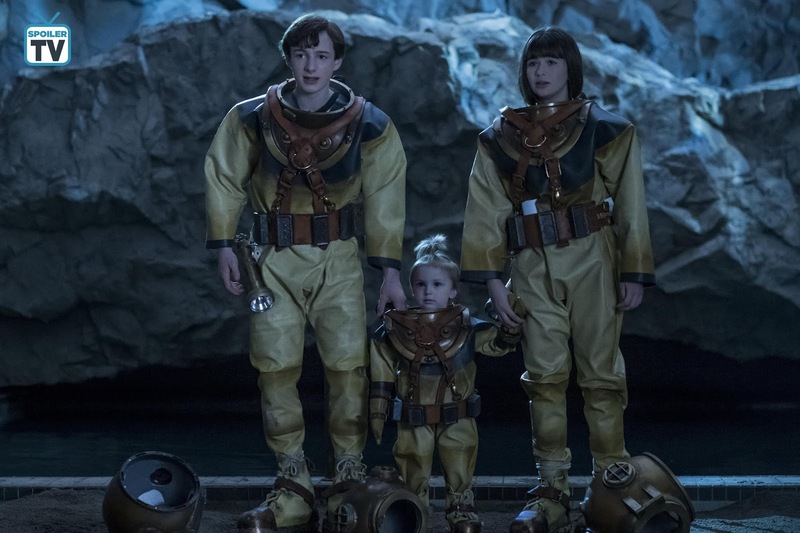 The Baudelaires are picked up by a submarine, the Queequeg, and its strange captain. Being deep below the surface of the sea delivers some of the show's creepier moments, but this also proves to be an important episode as some things that happen will have consequences in the final few episodes. Count Olaf is still on the heels of the children, with Esmé and Carmelita in tow (they really amp up their hilarious villainy). Some of the funniest lines and fashion moments happen in these episodes, and some of the exciting things to look forward to here are the incredible settings, Esmé's choice of dress, caverns of deadly mushrooms, unlikely allies, shocking betrayals, as well as a twist in fortune at the end of the second part. "Is it safe to eat raw toast?" The Penultimate Peril is a frustrating experience in that you know the Baudelaire children have come so far and yet they still have so far to go. These are the most hopeful episodes of the series, with the returns of Justice Strauss, Jerome Squalor, Nero Feint and more, and I have to say, out of all the episodes in season three, this one packed quite a punch. I really can't say much without spoiling this one (unless you've read the books already, then you'll know what I mean). The children are now working in a hotel where many people from their past have come for the trial of Count Olaf - which is bonkers, from beginning to end, but with some emotional moments for the children. 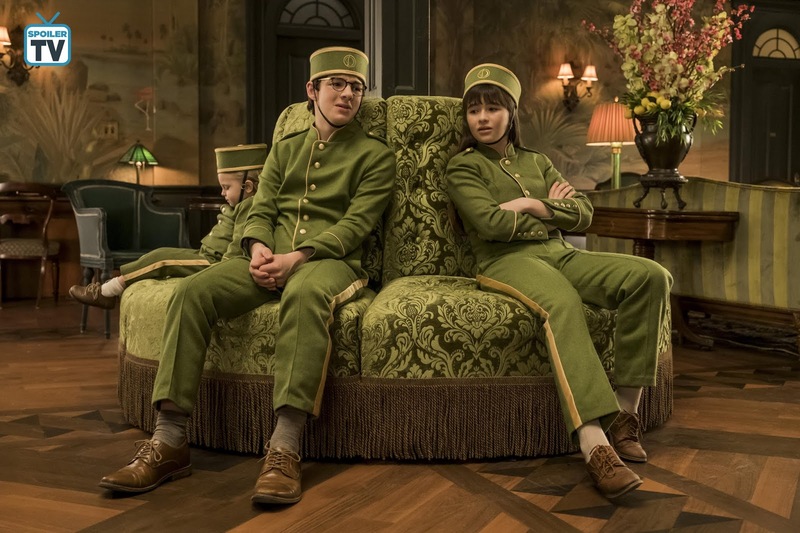 Honestly, the performances of the main characters - Malina Weissman and Louis Hynes - really solidifies the turmoil they've gone through the past three seasons, that even though this show can be ridiculous at times, there's still a huge amount of heart. 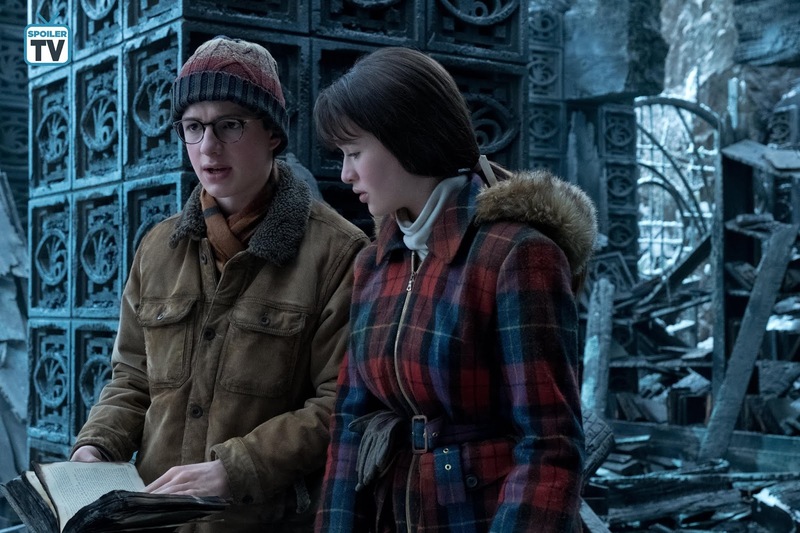 So much to look forward to in these episodes, including more answers on Kit Snicket, a dose of espionage, so many returning faces, more death, Count Olaf's trial, and the Baudelaires having their day in court. "I don't care about some late-series backstory." We all know how the story goes - we want a happy ending, but this is A Series of Unfortunate Events. The final episode stays true to the spirit of Snicket, and I would like to point out that The End is not a super-sized episode, it's only 51 minutes long, and it's not the longest episode of the season. However, the final episode does well to give us an ending for the children, with some satisfaction sprinkled in along the way. We end up on a small island, inhabited by people led by Ishmael, perfectly played by Peter MacNicol. I loved the island setting, it was beautiful but it also had this sinister undercurrent to it. We have some great flashbacks and answers to series-long questions and backstory that makes this final episode a satisfying one, even if there are still lots of answers left to be discovered. Some of the things to look forward to in this series finale are the beautiful tropical island and the mysteries it holds, old friends, more death, and an ending that feels right for this series. 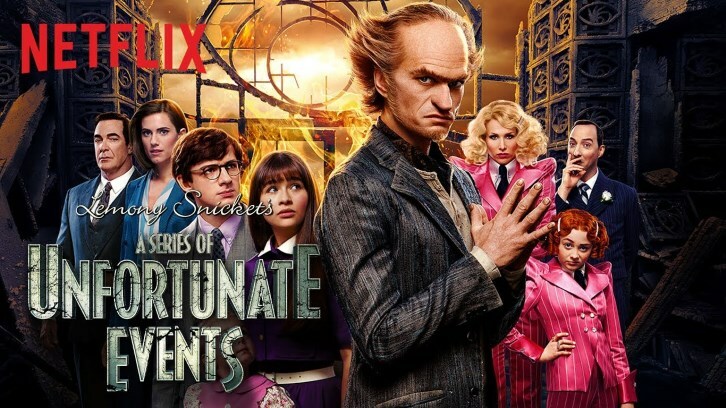 For fans of the book series, there may not be very many surprises for you, and that's okay because the final season beautifully continues the world of Snicket and the unfortunate orphans. You'll be happy to know this is a faithful season that will satisfy loyal fans of both the books and the show. I was still left begging for more, but we all knew what we were getting ourselves into when we first played that pilot episode. 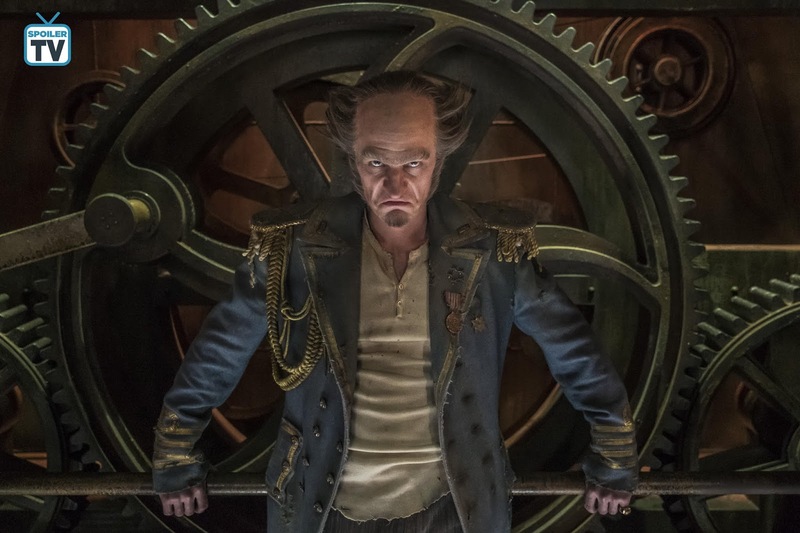 I'm going to miss Neil Patrick Harris's performance as Count Olaf, and he continues to add dimension to his villain even in this final hour, and the devotion and detail by the crew has left me so incredibly happy with this final outing. For fans of the TV series alone, you will get some big answers like who survived the fire, what's the big deal with the sugar bowl, why is Count Olaf the way he is, and so much more. What I love most about the third season is that it continues the cinematic scope of the series so that you could watch every single episode, from The Bad Beginning in season one, to The End in season three, and feel like you're watching one mega-long movie. It's been epic. It was hard to keep most of my feelings inside for this one, and there's so much to talk about for this season of A Series of Unfortunate Events. Be sure to tune into Netflix when the entire season premieres on January 1st, and I hope you all have a miserable (but totally incredible) time watching it - I know I did. 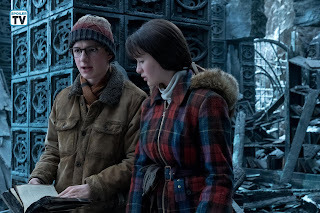 Let me know what you are most looking forward to in the final season of A Series of Unfortunate Events!